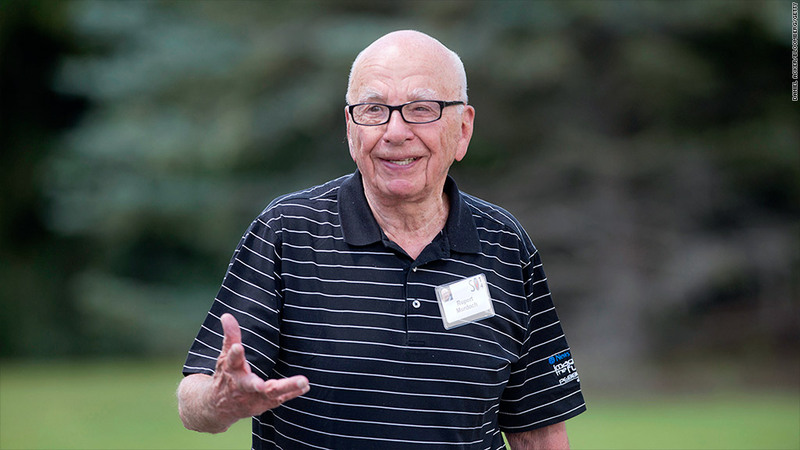 Who would media mogul Rupert Murdoch like to see on the ballot in 2016? Apparently Michael Bloomberg. On Sunday night Murdoch put out word, through his personal Twitter account, that "it's time" for Bloomberg, a fellow mogul who completed a third term as New York City mayor in 2013 and now runs Bloomberg LP, the financial data and media firm he founded decades ago. The tweets were intriguing not just because Murdoch seemed to be publicly drafting Bloomberg, but because Murdoch was sharply critical of GOP frontrunner Donald Trump earlier this summer. Murdoch seemed to soften his stance against Trump as the candidate soared in the polls. Now the comments complimenting Bloomberg call that into question. Murdoch framed it this way: "With Trump becoming very serious candidate, it's time for next billionaire candidate, Mike Bloomberg to step into ring. Greatest mayor." A little while later, seemingly responding to Twitter users' complaints about Bloomberg as a micro-managing "nanny state" mayor, Murdoch wrote: "Agree much about Bloomberg, nannystate, etc, but still a great philanthropic executive who, with Guiliani [sic], made NY the greatest." A couple of hours later, he followed up again with: "I did not say I would vote for him! Just a friend I admire." Notions of a Bloomberg bid for president come and go, but Murdoch's tweets are sure to trigger more such talk. Murdoch was until recently the CEO of 21st Century Fox, one of the world's foremost media companies, including properties like Fox News and Fox Sports. He recently named his son James CEO and became co-executive chairman of the company. He is also the executive chairman of News Corp, which owns newspapers like The Wall Street Journal and the New York Post. Murdoch and Bloomberg have known each other for decades. The Post was supportive of Bloomberg at pivotal moments during his mayorship, including when he revised term limits laws so he could run for a third term. 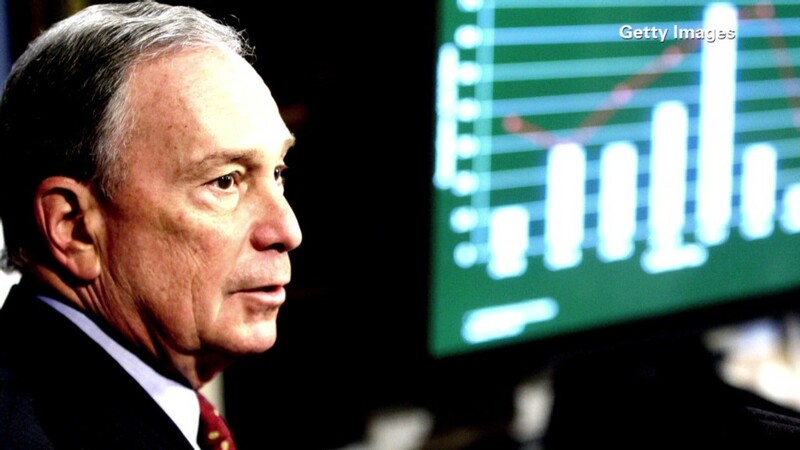 In April the Post floated the possibility of "Sir Mike" -- Bloomberg running for mayor of London -- and in June a Post columnist said local Democrats had gauged Bloomberg's interest in running for the presidency. At the moment, Bloomberg has his hands full running Bloomberg LP. He returned there after leaving City Hall and has consolidated control at the company. Murdoch may know something the rest of us don't about Bloomberg. Or he might just be one billionaire quixotically dreaming up a new job for another billionaire. He's done it before -- back in January he tweeted that Bloomberg should think about acquiring The New York Times. Murdoch wrote: "Is there a price for lifetime happiness for generous but bored, public spirited multibillionaire? Mike Bloomberg can easily afford NY Times." Bloomberg has long been seen as a potential buyer of the newspaper, though it remains in family control. Coincidentally, New York magazine reported Sunday that Bloomberg recently said "through a spokesperson that he was not interested in buying" the Times. As for the presidential nudge from Murdoch, well, Bloomberg did not respond to a tweeted request for comment.